The Native American story of Leelinau the Fairy Girl. Learn about the culture, stories, myths and legends of American Indians and their famous chiefs and tribes. A Native American Story of Leelinau the Fairy Girl to teach kids about Native Indians in a short, enjoyable, easy to read format. 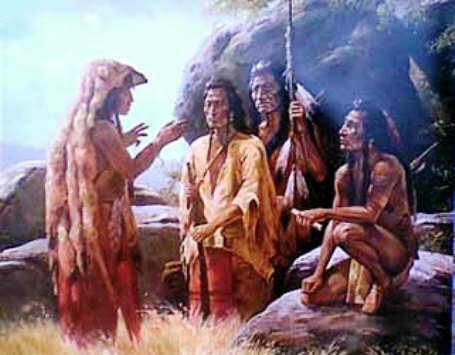 The Native American Indian Story of Leelinau the Fairy Girl provides an opportunity to read about the life and times of Native American Indians and many of their great chiefs and famous leaders. A Classic Short story about Leelinau the Fairy Girl for kids and children of all ages. This short story of Leelinau the Fairy Girl is great to read to kids and children at bedtime. This very short story contains folklore about the famous people of Native Indian tribes. This short Native American story has been selected to keep the attention of kids and children of all ages. Many of the traditional stories featured in this section are true and others are folk stories or myths and legends. Read our free short story online about Leelinau the Fairy Girl. 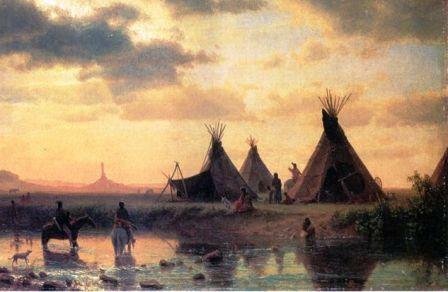 Read a free, online short story about the people of famous tribes Native American Indians to increase knowledge and understanding of the indigenous people of North America. The Story of Leelinau the Fairy Girl. Discover the vast selection of pictures which relate to the Stories, History and Culture of Native Americans. The pictures show the clothing, War Paint, weapons and decorations of various Native Indian tribes that can be used as a really useful educational history resource for kids and children of all ages. We have included pictures and videos to accompany the main topic of this section - The Native American story of Leelinau the Fairy Girl. The videos on this website enable fast access to the images, paintings and pictures together with information and many historical facts. All of the articles and pages can be accessed via the Native Indian Tribes Index - a great educational resource for kids.